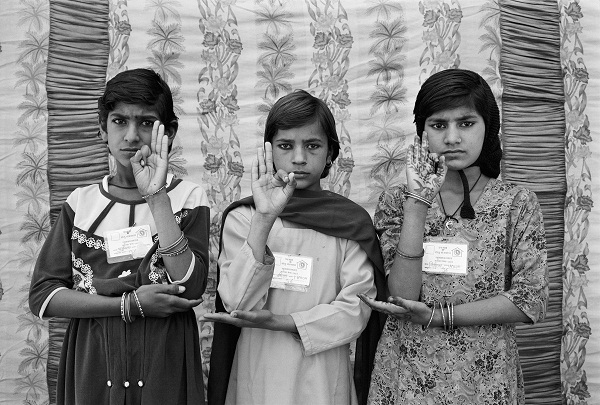 Sunita, Sita, and Nirmala, 2003.Gauri Gill, Indian, born 1970. Inkjet print, Sheet: 28 × 42 inches (71.1 × 106.7 cm). Collection of Thomas Erben Gallery, New York. Untitled, 2006 2011 (negative); 2015 (print).Sunil Gupta, Canadian (born India), active London and Delhi, born 1953. 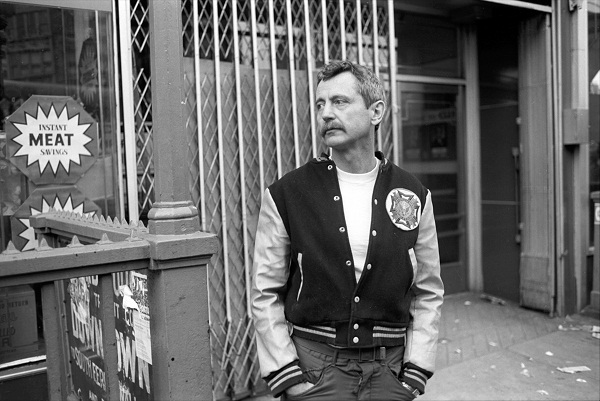 Inkjet print, Image: 17 7/8 × 22 inches (45.4 × 55.9 cm). Sheet: 20 1/16 × 24 1/16 inches (51 × 61.1 cm). Sunil Gupta courtesy SepiaEYE. Treasure Map 006, 1994 1995 (negative); 2015 (print and painting). 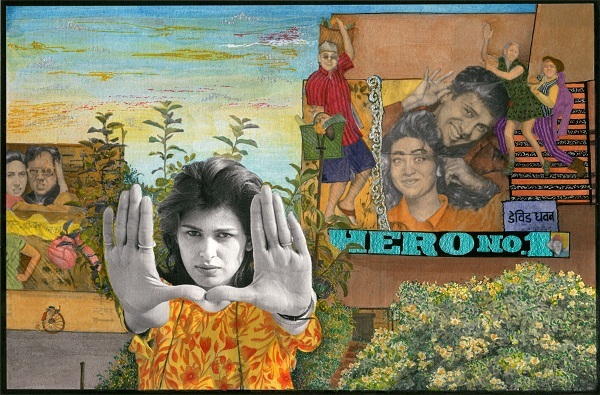 Pamela Singh, Indian, born 1962. Inkjet print, hand painted, Image: 5 1/4 × 8 inches (13.3 × 20.3 cm). Sheet: 8 1/2 × 11 inches (21.6 × 27.9 cm), Mat: 16 × 20 inches (40.6 × 50.8 cm). Pamela Singh courtesy sepiaEYE. 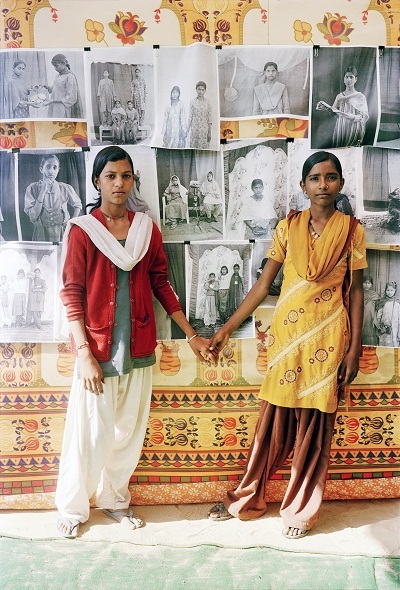 Manju and Parvati, 2010.Gauri Gill, Indian, born 1970. Digital print on glass, Sheet: 10 × 6 1/2 inches (25.4 × 16.5 cm). Courtesy of the artist and Thomas Erben Gallery, New York. 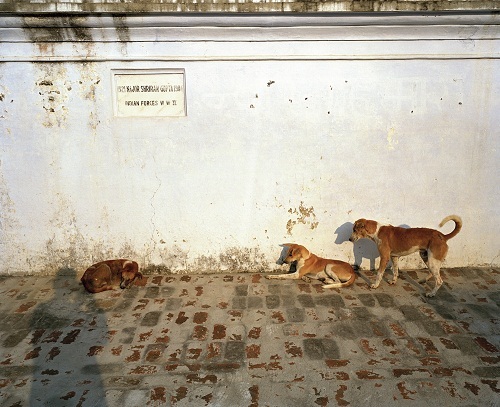 Untitled, 1976.Sunil Gupta, Canadian (born India), active London and Delhi, born 1953. Gelatin silver print, Image: 15 5/8 × 19 1/2 inches (39.7 × 49.5 cm), Sheet: 16 × 19 7/8 inches (40.6 × 50.5 cm). 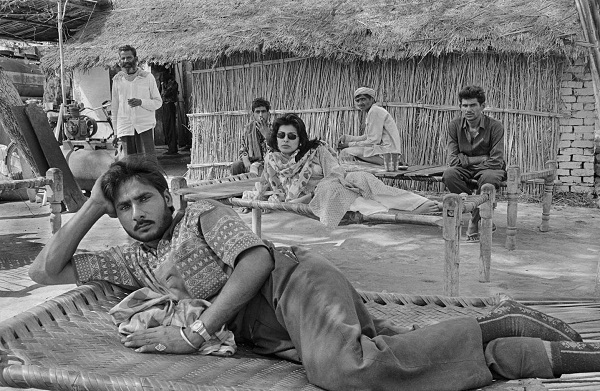 Sunil Gupta courtesy SepiaEYE. The Horse to be Sacrificed Must be a Stallion, 2014. Max Pinckers, Belgian, born 1988. Inkjet print, Sheet: 52 3/8 × 42 15/16 inches (133 × 109 cm). Courtesy of the artist and Dillon Gallery. Zindagi, 2014. Max Pinckers, Belgian, born 1988. Inkjet print, Sheet: 42 15/16 × 52 3/8 inches (109 × 133 cm). Courtesy of the artist and Dillon Gallery. The Lorry Driver, 1994 1995 (negative); 2014 (print). Pamela Singh, Indian, born 1962. Gelatin silver print, Image: 6 × 9 inches (15.2 × 22.9 cm), Sheet: 8 × 10 inches (20.3 × 25.4 cm). Pamela Singh courtesy sepiaEYE. For some, it’s about the city life. For some, it’s a land of varied cultures and beliefs. And for some, it’s the perfect subject to focus their camera lenses on. 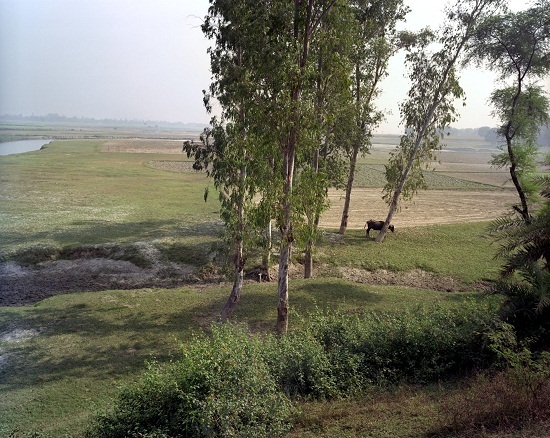 Picture This: Contemporary Photography and India, presents the works of Gauri Gill, Sunil Gupta, Max Pinckers, and Pamela Singh, and their interactions with the subcontinent. They document the country’s realities, and through their images, pose questions of identity, history, culture and dislocation. As they say, a photograph is worth a 1000 words. 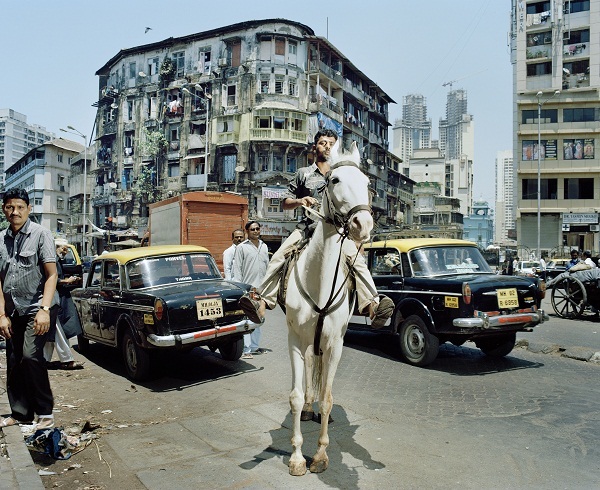 Picture This: Contemporary Photography and India is on display at Philadelphia Museum of Art, Philadelphia (2600 Benjamin Franklin Pkwy) until April 3, 2016.